Dare to be delighted with Dixon! 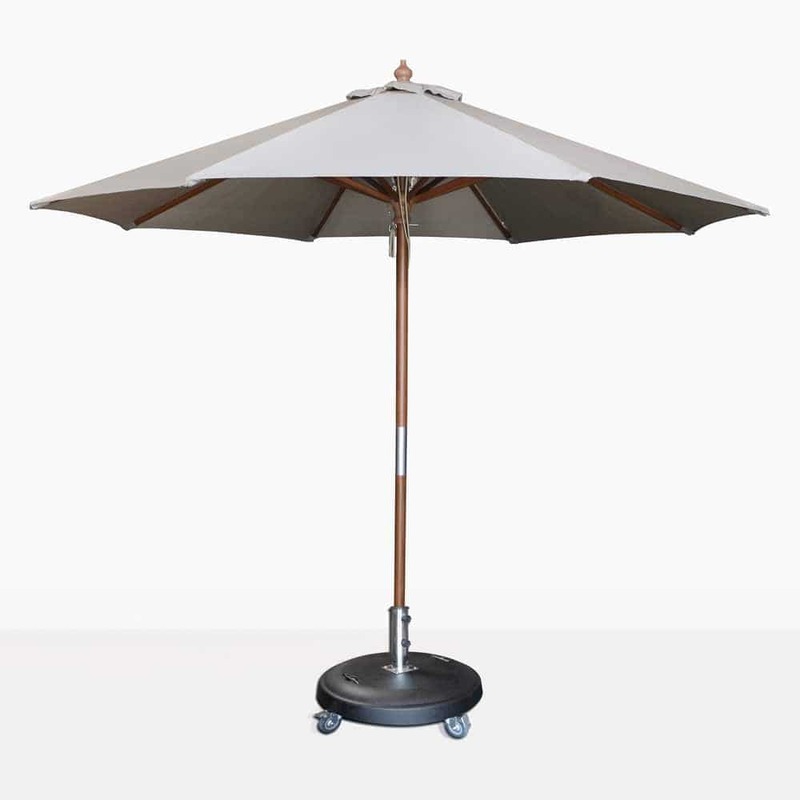 Our Dixon Market Olefin Round Umbrellas in Grey are the highest quality market umbrellas you’ll find! Stylish and sophisticated, Dixon Umbrellas are gorgeous, classic brollies that suit any space. From the beach to the balcony, we know you’ll find a home for these gorgeous Dixon Umbrellas. Made from hardy wood, with an easy to use pulley system, the Dixon Market Umbrellas are blessed with new Olefin fabric. This material is making waves as the better to tired old fashioned market umbrella fabric. Solution dyed, UV treated and less likely to absorb mould and mildew; Olefin is an amazing choice for a great umbrella at an even better price point! The umbrella base is not included in the price. Our Dixon Umbrellas are available with a round or square shaped canopy, in two sizes and in sophisticated grey or charming white. With a terrific range of bases, we will continue to help you find an option that best serves your space and taste! Try one of our 3 metre Dixon Round Umbrellas in White in the middle of a fabulous, large Grade A Teak round table surrounded by white Batyline® chairs for a stunning cohesive look for your outdoor setting. Perhaps you have a small balcony or porch area that gets sun all day. It’s the perfect little spot for breakfasts, or relaxing with a book… but you need cover. Purchase one of our smaller models for cover over your relaxing chair and side table and get used to basking in the comfort and security of your surroundings. 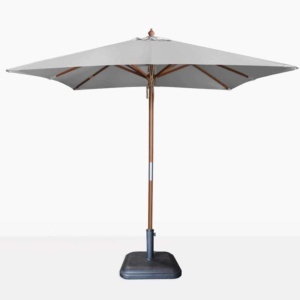 For Dixon Umbrellas and more, Design Warehouse is the leader in all things outdoor furniture. We have an amazing array of products for the garden, beach, pool, porch and deck! Our website is comprehensive and our sales assistants are too! Peruse our site, and call us to discuss! You are steps away from the outdoor furniture of your dreams!